Cleveland Ohio and Cuyahoga County from early on has been a target location for those coming from what is now the Slovak Republic. The first Slovak immigrants came as early as 1880. By 1882 this steady flow of immigrants produced a large Slovak speaking nucleus of people. When Jacob Gruss first arrived with his wife in 1880 he found only one countryman living in Cleveland already, all we know of him is his surname was Roskos. Jacob Aloysius Gruss was born 18 May 1854 in the community Lipovce, County Saris. He was 26 years old when arriving in Cleveland and died 4 April 1939 at the age of 84. When arriving in America at the port of New York Gruss was advised by a Bohemian (Czech) employment agent to proceed to the mining regions of Pennsylvania but said he preferred working above ground, Cleveland was then suggested by the agent as having lots of job opportunities. Jacob Gruss went on to become a charter member in the First Catholic Slovak Union, founded in Cleveland on 5 May 1889 as the then Saint Joseph's Society to later become the Jednota on 4 September 1890. Another early arrival to Cleveland was Juraj Onda who became the first president of FCSU in 1890, after Fr. Furdek declined the presidency saying that he was only able to continue as editor of its publication. Onda immigrated from Celovce in Zemplin County. Fr. Stefan Furdek and Peter V. Rovnianek were rival fraternal editors, Rovnianek for the National Slovak Society (NSS) and Furdek for FCSU. Fr. Furdek in his writings coined the title "Slovaks" here in America, while Rovnianek was using the term "Slavonians" for the same ethnic group, later accepting Furdek's term "Slovaks" as more accurate. Rovnianek would go on to emphasize the proper Slovak national colors of white, blue and red. There is no official record showing growth of Slovak population in Cleveland but this can be estimated and localized when looking at the history of Slovak churches in Cleveland and the nearby suburb of Lakewood. 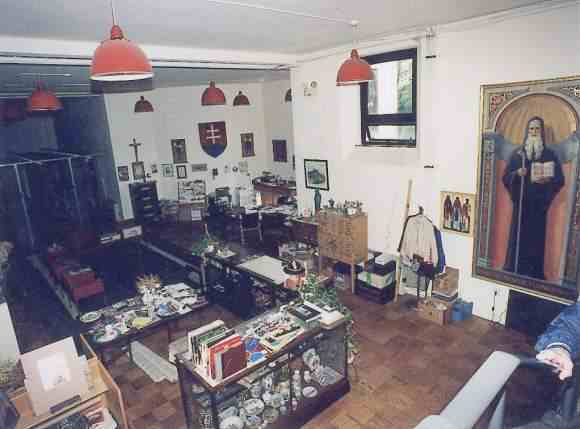 The first wave started after Father Stefan Furdek began holding regular Slovak Roman Catholic services in 1885. The site for the first permanent church was Buckeye Road between East 79th and Woodhill Road, it opened in 1889 as St. Ladislas Parish. At that time in America it was only the 7th Slovak organized church and 1st in the state of Ohio. (4 PA, 1 IL, 1 NJ ) To complete this first wave followed Holy Trinity Lutheran Parish dedicated 5 December 1892, making it the 3rd Slovak Lutheran church in America, and, St. Martin Roman Catholic Parish dedicated in 1894. These last two were located in the downtown eastside area. The 2nd stage of Slovak growth followed in just ten years when the first three church found themselves inadequate at handling a steady influx of new immigrants. Building churches nearer industrial employment became a major factor. Slovaks crossed the Cuyahoga River building St. Wendelin's on the near westside of Cleveland in 1903 and in the far western suburb of Lakewood opened Sts. Cyril & Methodius, both Roman Catholic parishes. 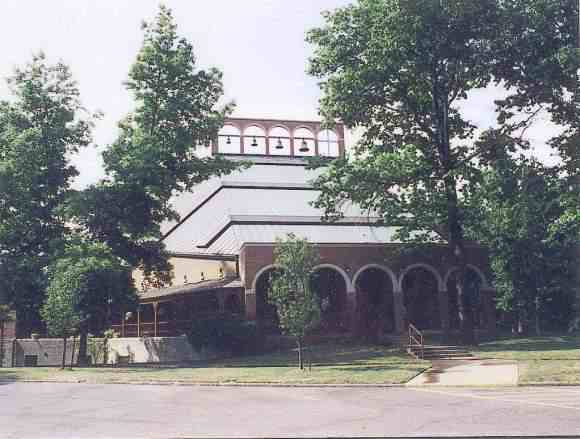 Nativity of the Blessed Virgin Mary was also formed in 1903 in the East 93rd and Aetna Road area. St. Andrew's Roman Catholic came in 1906 on Superior Ave. near E. 55th. Martin Luther Slovak Evangelical Lutheran congregation was founded in 1910 in the West 14th location. It was noticed that in most Slovak communities where there was a Roman Catholic church then later a Greek Catholic church followed. During this period of church in America there was no structured hierarchy for the Eastern Rite church so the early clergy did not teach to a geographic area of roots in Europe but rather the larger European Slavic mixture. Early Greek Catholic churches in Cleveland with a majority from Slovakia were: St. John the Baptist on Scovill Avenue, the Church of the Holy Ghost on Kenilworth Avenue near West 14th and St. Joseph on Orleans Avenue near East 93rd. The largest Slovak Baptist church was the First Slovak Baptist Church located at Collage and Tremont Avenues, later titled Scranton Road Baptist. In the year 1918 all these churches totaled about 35,000 members. At the bottom of this page is a map of the Slovak churches of Cleveland. 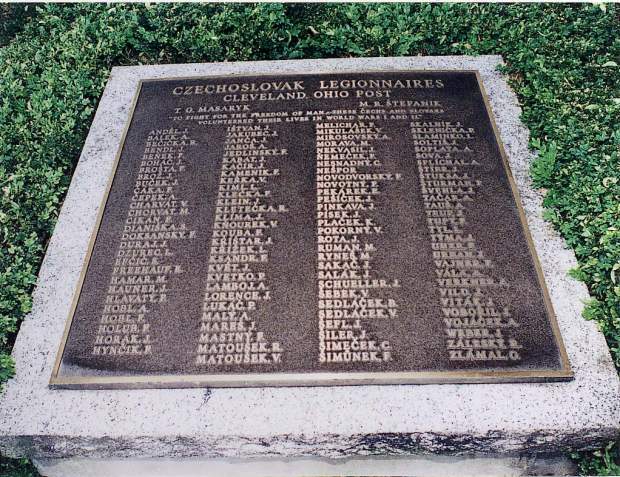 With the tragic death of Milan Rastislav Stefanik in a airplane crash on 4 May 1919, near Bratislava, the Cleveland Slovaks raised money to remember this national hero with a monument. This sculptured bronze figure atop a stone base was commissioned to Slovak sculptor M. Frico Motoska in 1922. 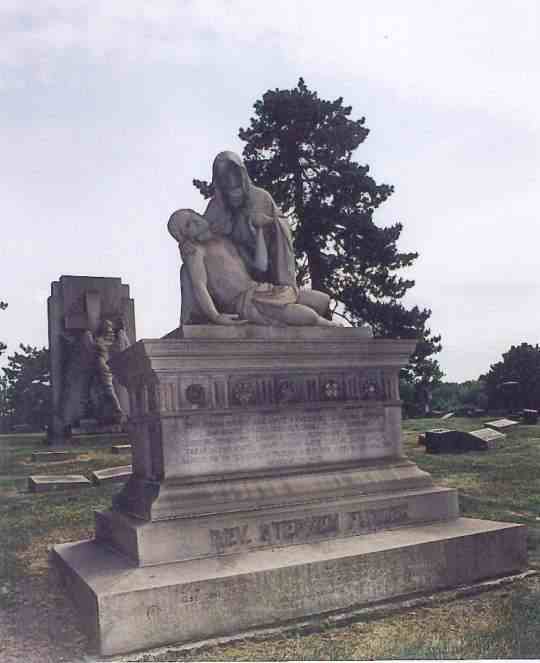 This monument standing tall is located in Cleveland Wade Park, at the foot of University Circle. 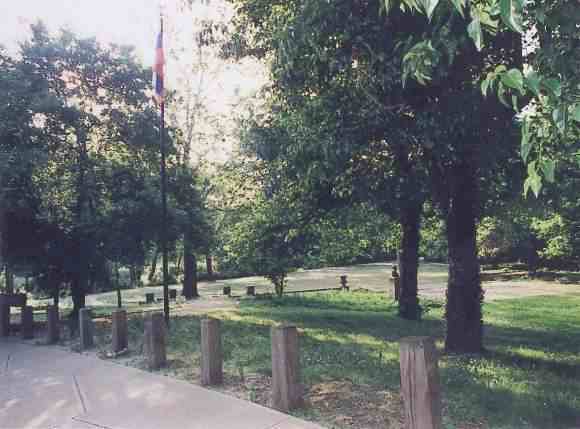 The Slovak Cultural Garden extending 3 acres along Rockefeller Park began in 1929 as a civic plan to join with other nationalities along this long parkway extending north from University Circle. There are 24 nationality gardens along this route. 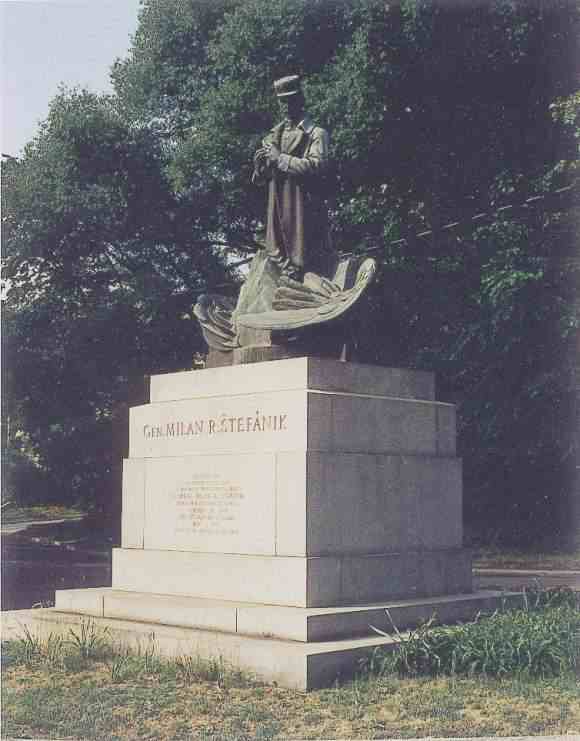 On 28 October 1934 this Slovak Garden was dedicated with two bronze busts. Father Stefan Furdek, a gift of the First Catholic Slovak Union, and, Lutheran Minister Jan Kollar, a gift of the Slovak Evangelical Union and Lutherans of Cleveland. The Benedictine Abbey of St. Andrew Svorad founded by Slovak Benedictine monks became a independent priory on 2 October 1929. It remains in the neighborhood of the first church for Slovaks back in 1889, St. Ladislas. It is also home of the Slovak Institute and Benedictine High School. The U.S. Census of 1990 brings us up-to-date statistics. Cleveland and its neighboring suburbs are located in Cuyahoga County and there are 88,770 people saying they have Slovak in their lineage in this census. In the United States only Pittsburgh and Allegheny County with 94,108 have a higher concentration of Slovaks. Top cities in Cuyahoga County are: Cleveland 19,668, Parma 12,603 and Lakewood 5,113. Across the United States there is a total of 1,882,897 in this same census. Pennsylvania and Ohio again being one and two. In 1930, Slovaks from Cleveland, Ohio were members of or sponsors for the printing of religious book and music in the Slovak language by the Sv. Vojtech Society, based in Trnava, western Slovakia. For more information on the history of Slovaks in Cleveland, visit the Saint Ladislas Parish web site or the Nativity Parish web site.